Celebrate Earth Day by coming to an arts and crafts festival in Cave Creek! Hosted by Tierra Madre Horse & Human Sanctuary, this festival will feature a variety of different vendors, live music, and fun for the whole family including activity tables, crafts, and raffles. As "Tierra Madre" means Mother Earth in Spanish, our aim is to honor our Earth and her many creatures each and every day. 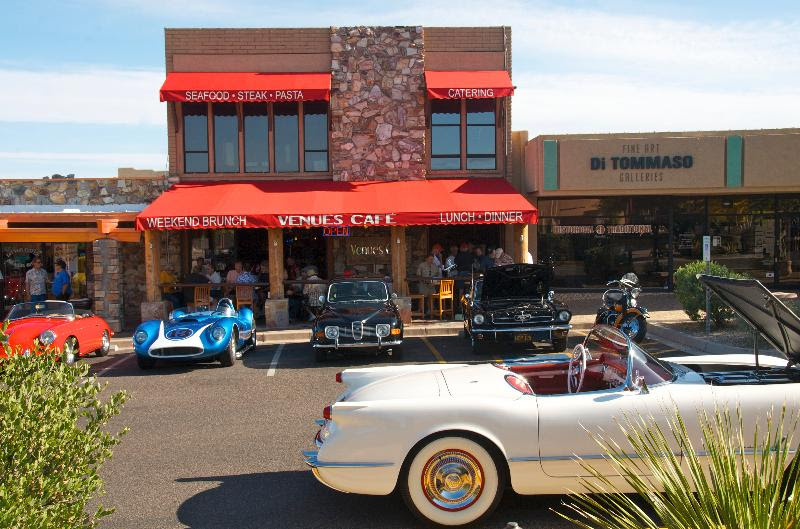 Located at Frontier Town, Cave Creek, Arizona, this is a uniquely Cave Creek event! Arizona Rustic Weddings located in Frontier Town, in the heart of Cave Creek, Arizona, is famous for ALL INCLUSIVE – ONE PRICE Wedding Packages. We can customize any package to suit your needs. Our Wedding Professional, along with our dedicated staff, are committed to providing you with a memorable, stress free day. We specialize in Weddings and Receptions at affordable prices and pride ourselves on our flexibility, as well as our dedication to providing excellent service, great food and a beautiful setting for one of your most memorable days. Please call to set up a tour of the facility and a complimentary consultation. In and around Cave Creek there is a growing little music "scene" around musicians playing at local venues and keeping alive the live music tradition. Cave Creek Live works with many of the venues to help facilitate this and with the musicians to help grow this energy. Cave Creek Live supports all live music but really puts an emphasis on original music being written in our region. Please support your local musicians and go see live music. We feature many shows here in our featured Cave Creek events section, video and audio from local artists and will be bringing you Cave Creek Live sponsored live music events, listings and calendars in 2018! Please hit contact on this site and send us your band links and we may feature your original music, band profile etc. as well as connect you with events. GO SEE LIVE MUSIC! Discover where your creativity will take you. Join the Sonoran Arts League, the Gallery at el el Pedregal, and the Boulders Resort and Spa for an art walk through the Pedregal Center featuring artwork in six galleries, featured artist demonstrations, and a chance to mingle with other art enthusiasts. The Sonoran Arts League has teamed up with The Boulders Resort and Spa to create The Gallery at el Pedregal. The collaborate effort between the Sonoran Arts League and The Boulders Resort and Spa features one-of-a-kind fine art from Sonoran Arts League artists in a variety of mediums. Featuring a new rotation of artwork and artists every four months, The Gallery always offers something new and unique. Guests may also visit other associate galleries throughout the elPedregal Center to view even more fine art: Agave Gallery, Mesquite Gallery, Juniper Gallery, Tohono Gallery and Palo Verde Gallery (located in the Palo Verde Restaurant at the Boulders Resort). Additionally, Artists in Residence are in The Gallery daily to speak with guests and demonstrate their techniques. Rock the District Cave Creek! The petroglyphs found in Spur Cross were created hundreds of years ago by the Hohokam people. CLICK FOR MORE ABOUT CCOOC! AND TO ORDER! Breakfast Buffet and Hot Rods! We offer a Breakfast Platter for $9.95...the car guys love it! !